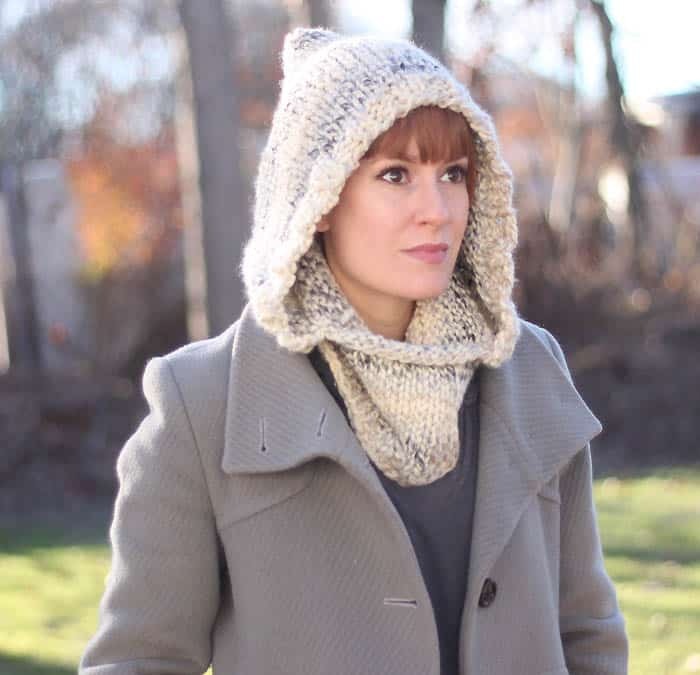 I’ve been wanting to create a knitting pattern for a hooded cowl for some time now, but I wasn’t sure how to make the pattern beginner friendly. 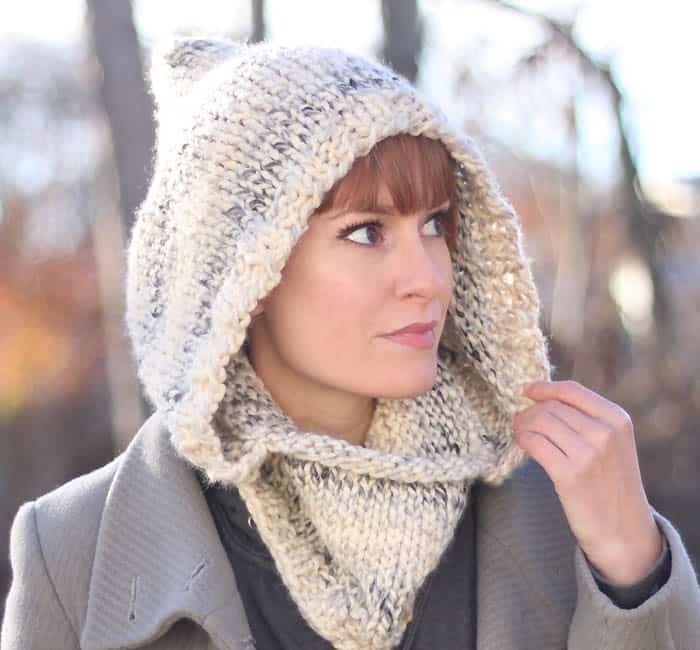 Then it occurred to me- use my Woodland Hood knitting pattern and add a cowl! I make a few changes to the pattern to account for the heavier yarn and to make the design work better with the addition of the cowl. 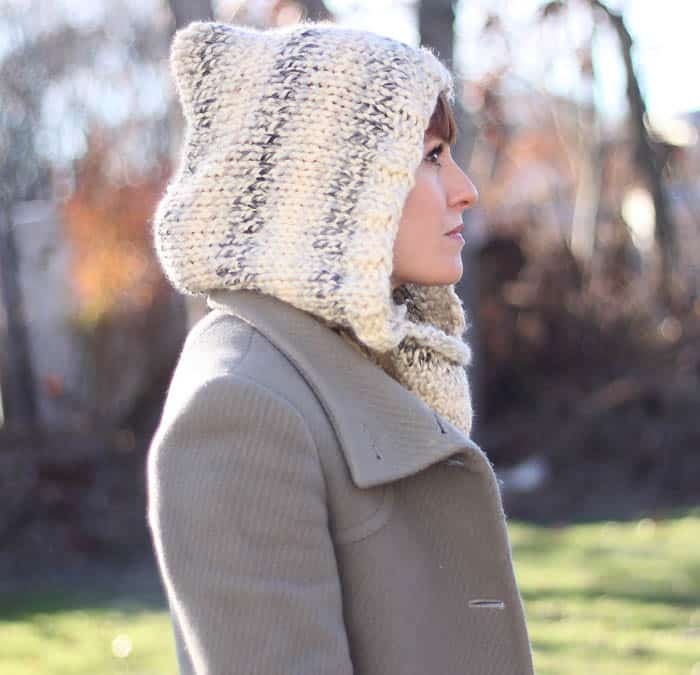 This is really easy to knit! 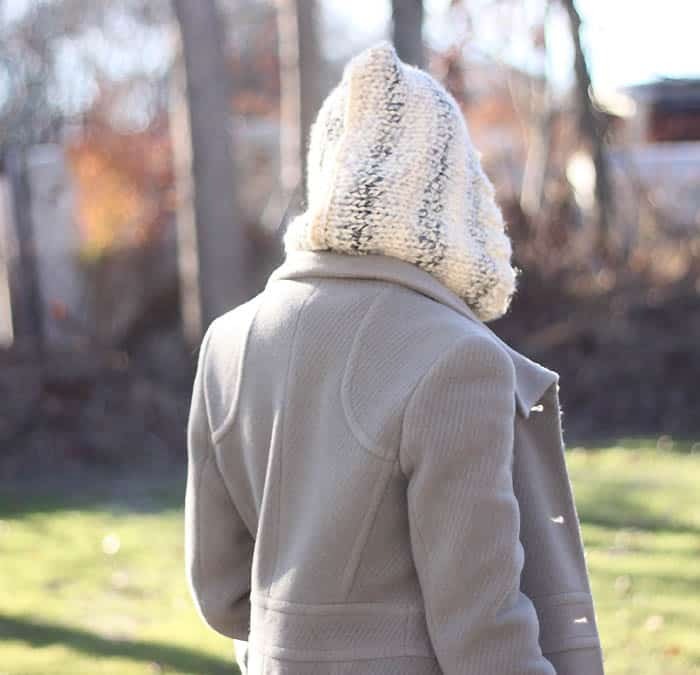 The hood is knit flat, then seamed up the back. The stitches on the bottom of the cowl are picked up using circular needles and the cowl is knitted. 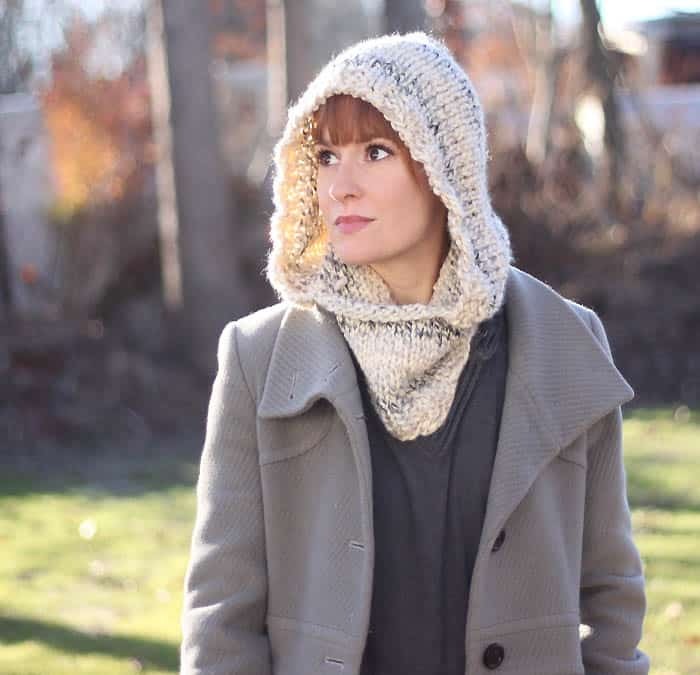 This Hooded Cowl is the perfect accessory now that the temperature has dropped to near freezing. I’ll definitely be wearing mine to keep warm this winter! The 3 rows of ribbing you knit at the beginning will go around the face. With the circular needles, cast on 16 sts. Pick up the stitches all around the bottom of the hood and join together. Knit in the round for 6 1/2 inches. K2, P2 for the last 3 rows. Bind off in K2, P2 ribbing. I designed a crocheted version in brown several years ago with this yarn as a gift . Love yours and will definitely make one for myself for the winter. Thanks for sharing the pattern! Love your patterns! They turn out beautifully! I've tried about a half dozen. I'm anxious to start the Easy Hooded Cowl. Will work great for transitioning into spring and also for the Rennaisance Fair.